Today is International Youth Day, and we’re celebrating the work of our youth activists around the world in their fight against corruption. These innovative and creative young activists show us that there are many ways to fight corruption and promote integrity. 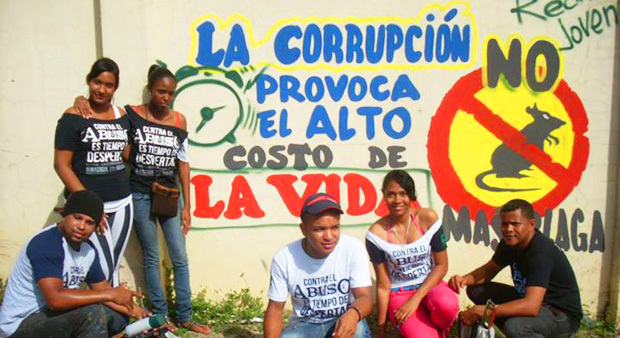 Through the “Lend me your wall” (Préstame tu pared) campaign, our youth group in the Dominican Republic spoke out against corruption – particularly the kind that goes unpunished. The campaign encourages members of the public to donate a wall of their house or office to anti-corruption street art. Want to know more about the campaign? Read more here. 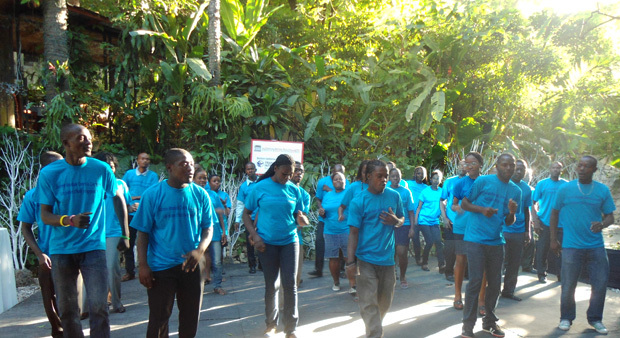 As part of Anti-Corruption Day 2013, our youth group in Haiti drew crowds with a specially choreographed anti-corruption dance. Members of our youth group in Hungary got into the rhythm of the Transparency International dance during a summer festival. In addition to the dance, the festival offered an interactive and fun way to learn more about corruption, freedom of information, whistleblower protection, political-party financing and public procurement. Click here to see the video. Fighting for a world free of corruption in Indonesia, where members of our youth group strive to be “berani, jujur, hebat”, or brave, honest and great. Find out more about how young people are fighting against corruption in Indonesia here. Who says that there is only one way to fight corruption? 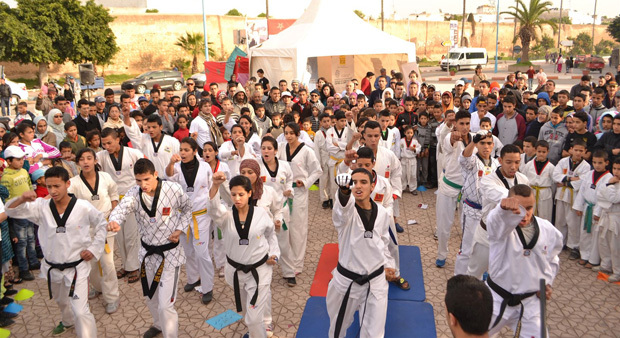 Our youth group in Morocco takes a stand against corruption through taekwondo. Their performance was a central part of an art project that engaged youth in the fight against corruption. 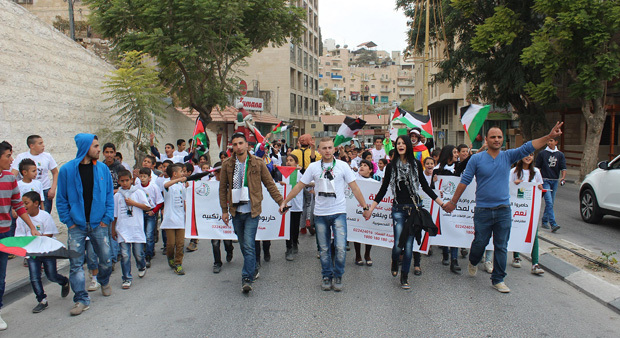 In Bethlehem, children stand up against wasta (favouritism) and corruption. Two hundred children participated in this street protest, demanding that the misusers of public funds be held accountable. 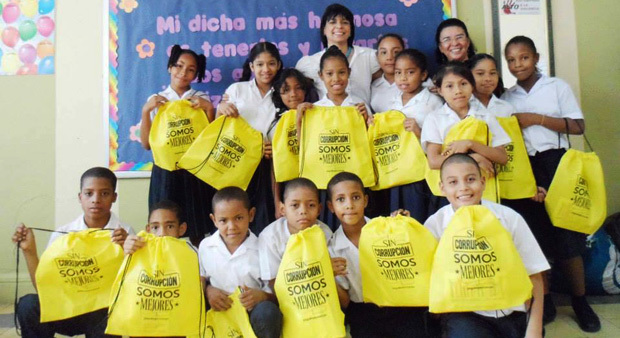 Our Fair Play campaign in Panama aims to promote transparency as a way to combat corruption. On Children’s Youth Day, we took the message into schools. These kids are corruption fighters in the making! You are never too young to stand up for what you believe in! In Senegal, children join the fight against corruption and help raise awareness of anti-corruption measures and integrity. In South Africa, our team spreads awareness of corruption. 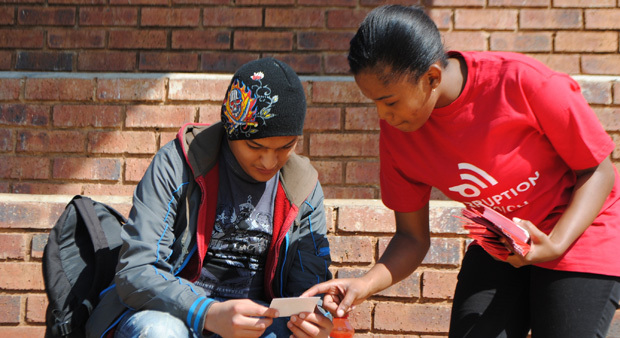 A youth activist hands out a flyer to a university student, informing him about the different ways to report his experiences of corruption to the organisation. A youth volunteer from South Korea interviews citizens about their thoughts on corruption and integrity. She’s part of a region-wide project in which young people from four different countries surveyed their peers and adults to get their views on the state of integrity. Find out what they said here. Feeling inspired? Why not start your own corruption-fighting initiative! Check out our new anti-corruption kit for 15 ideas of how you can get involved. 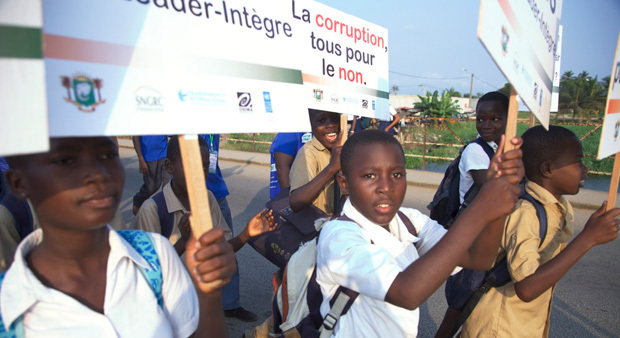 Or are you – or someone you know – a young corruption fighter? Tell us what you are working on below!